One Dead and Two Injured in Boca Raton Chain-Reaction Crash | Schuler, Halvorson, Weisser, Zoeller & Overbeck P.A. 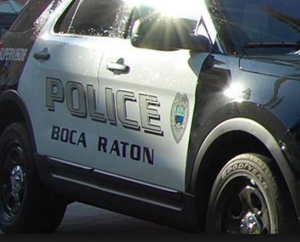 A female resident of Miami died on the scene and two others sustained injuries in a chain-reaction crash along South Military Trail in Boca Raton. A spokesperson for the Florida Highway Patrol said three people sustained multiple injuries in a chain-reaction crash along South Military Trail. The accident occurred when a Dodge truck made an abrupt stop on the northbound lane of South Military Trail. Subsequently, the driver of a grey Chevrolet sedan, who was directly behind the truck in the same lane, had a rear-end collision with the truck. Then, the female driver reportedly stepped out of her vehicle in a disoriented state. Authorities said a fifth car swerved out of its lane in an attempt to avoid a collision but ran into the driver of the Chevrolet before coming to a stop. Two other drivers were involved in the chain reaction crash but with minimal damage to their vehicles. Paramedics were on the scene to attend to the crash victims, but they could not revive the driver of the Chevrolet. She suffered severe head injuries and was pronounced dead on the scene. A front-seat passenger in the Chevrolet sedan was trapped in the wreckage when emergency services arrived. He sustained multiple lacerations and a few broken ribs in the crash. Firefighters helped to free the trapped passenger before placing him in an ambulance for transport to the hospital. The driver of the Dodge truck sustained minor injuries in the crash and was treated on the scene. He was later detained by the Florida Highway Patrol. No charges have been filed yet, but alcohol is suspected to be a factor in the crash. The FHP is conducting an investigation into the crash.